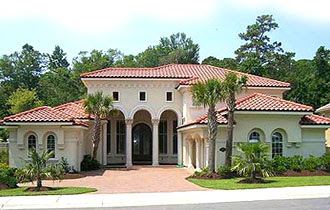 Myrtle Beach Real Estate News: Will Interest Rates Increase Impact High End Homes? Will Interest Rates Increase Impact High End Homes? The Feds have decided to increase the interest rates in December for the first time in approximately 7 years. Though this latest move will likely have a slight impact on the overall market, we feel the high-end residential market will not see much change. This applies to the Grande Dunes because most of the buyers are buying without financing or they are making a large down payment. In addition, high-end buyers typically have higher credit scores and less debt to income ratios. These factors influence the banks to lend at more favorable rates for these buyers. In 2015, Grande Dunes home sales were very active. About 50% of home sales were new construction versus resale, and we anticipate this trend to continue throughout 2016. For those that are thinking of selling in 2016, I believe you will have great success. Of course, in order to compete with new construction, you have to make sure that your property is marketed aggressively.